FREE Extended Preview! Six months ago, William stole Hanna's heart and shattered it in front of millions of people on a reality TV dating show. When all seems lost, it's only with help from above that Hanna and Will may find their happily-ever-after. 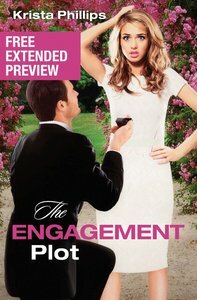 About "The Engagement Plot (Free Extended Preview)"
Customer Reviews For "The Engagement Plot (Free Extended Preview)"
I guess its not really fair of me to lower the stars cos I really wanted to see where this story went (such a tease!) Will keep my eye out for the full version.